The perfect room for budget conscious travellers and/or couples that require a double bed and single bed. Your facilities include a Double bed & King Single bed, writing desk & chair, a mirror and vanity basin. There are also tea & coffee making facilities in the room. 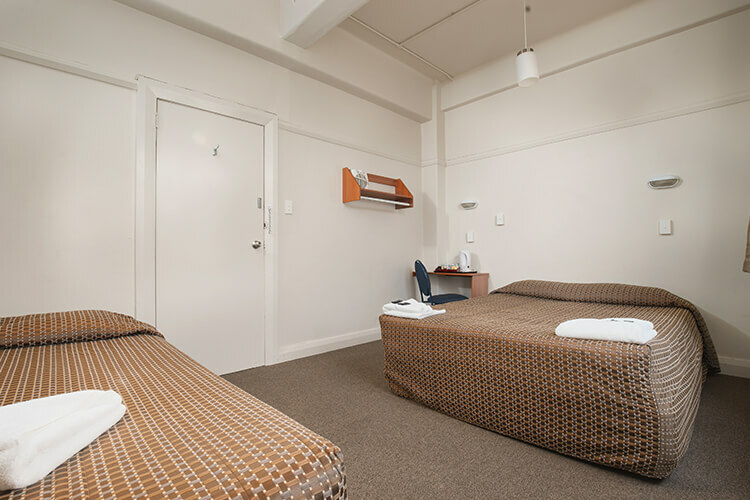 The toilet and shower facilities are shared with the other Economy Rooms on your floor. Wi-fi access and central heating are included.